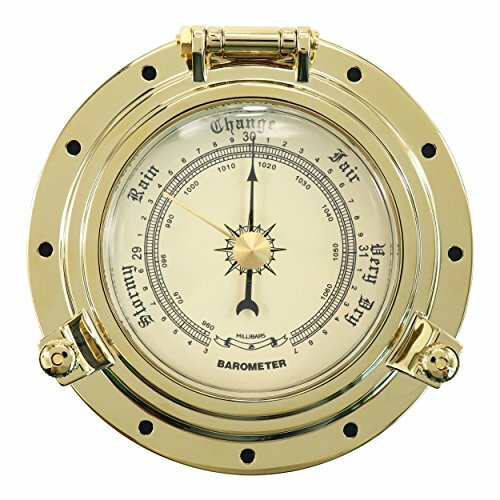 Gleaming lacquer, solid brass, compact size and German precision are the hallmarks of this nautical Barometer. The Trident Collection represents our smallest, inexpensive brass instruments. The instruments in the Trident Collection are provided with complete instructions, mounting hardware, and a fresh battery as required. AA battery operated movement(not included). Dial: 3.85". Depth: 1.46".